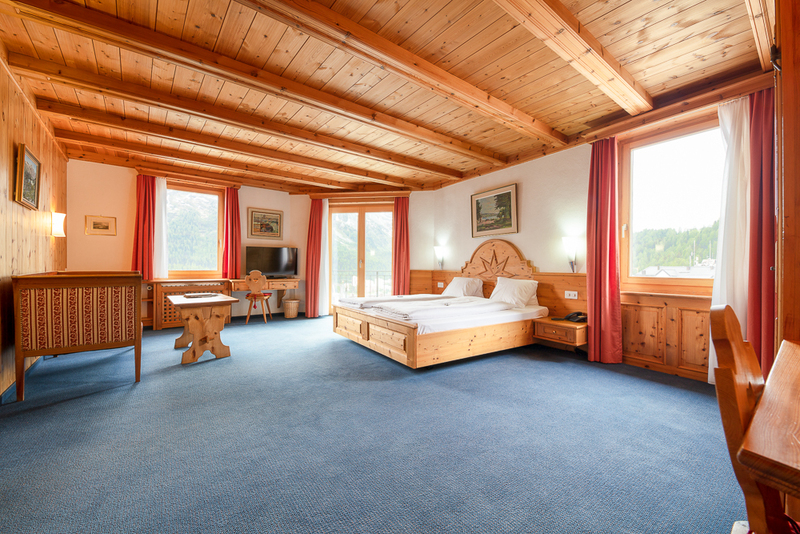 The rooms are distributed over 3 floors and can be reached conveniently by lift or stairs. 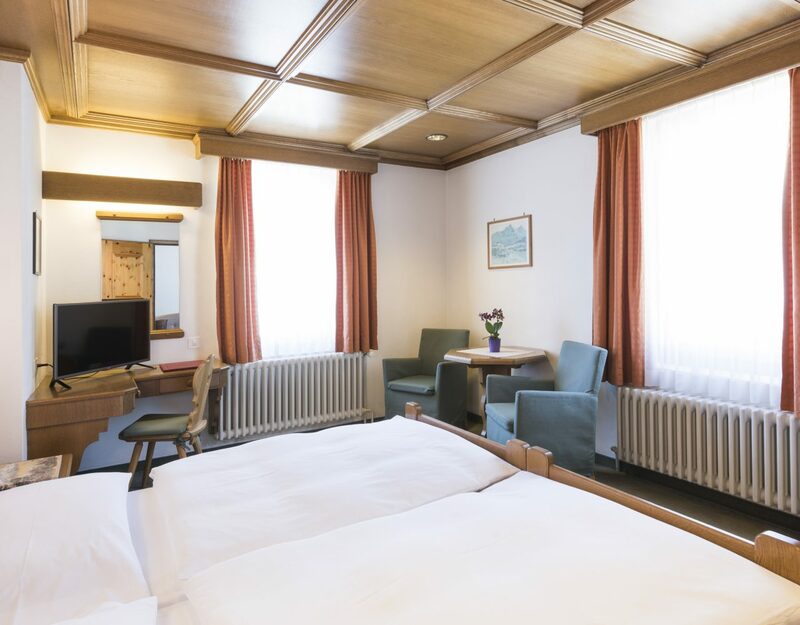 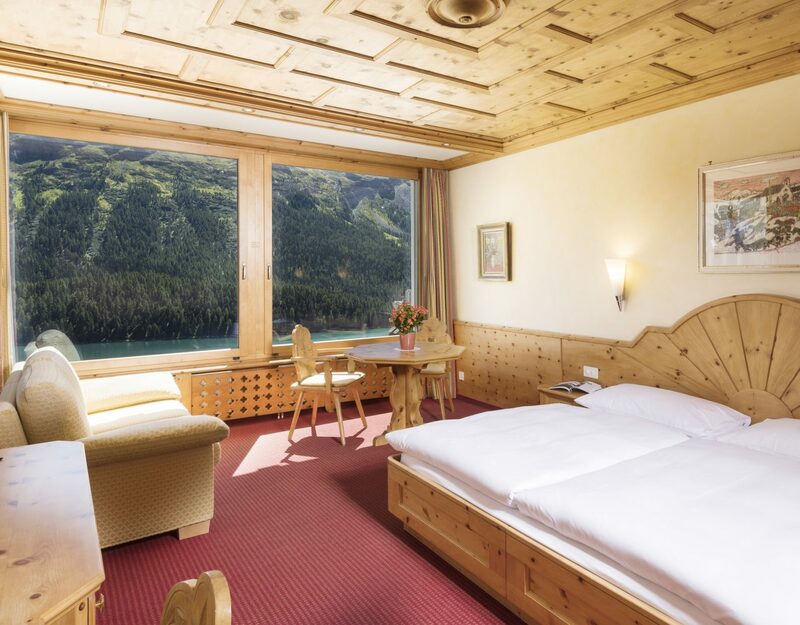 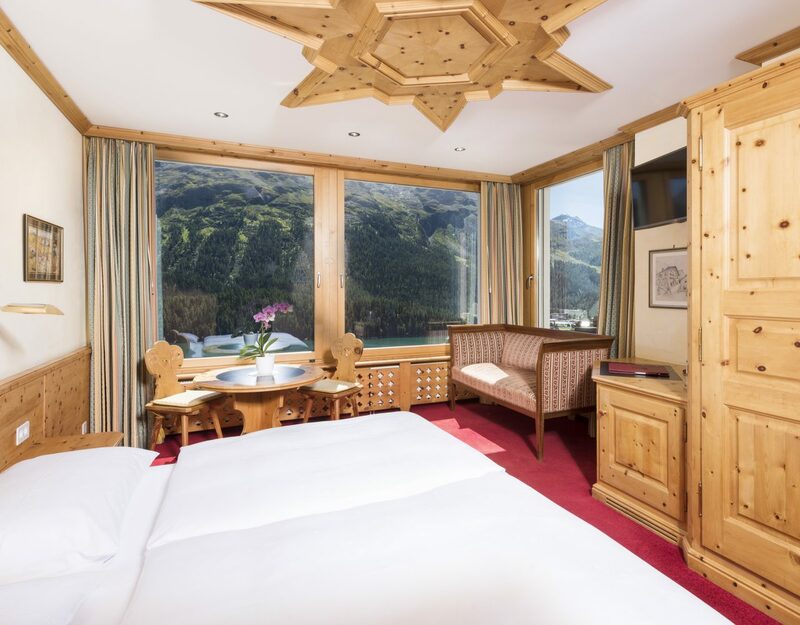 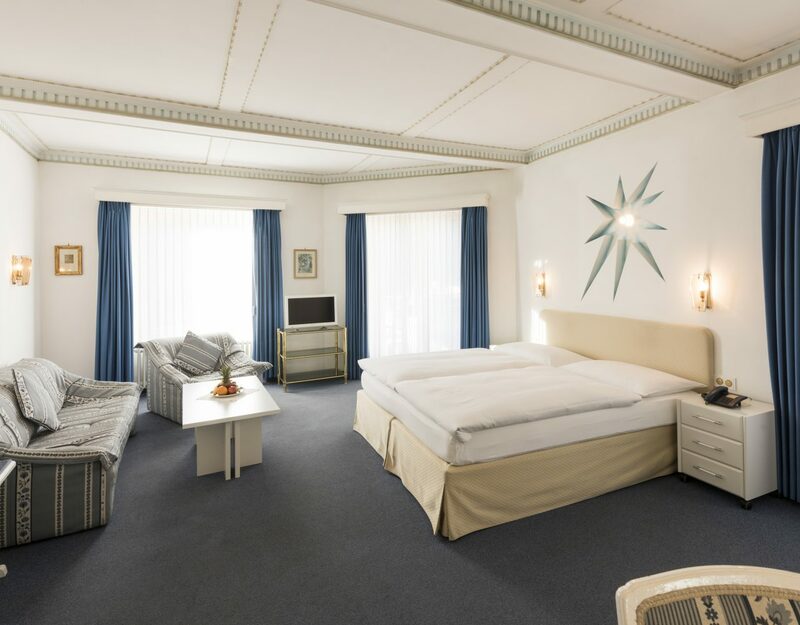 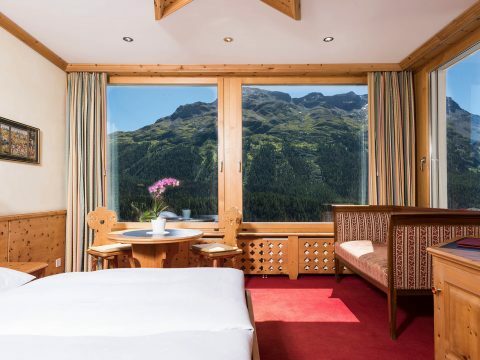 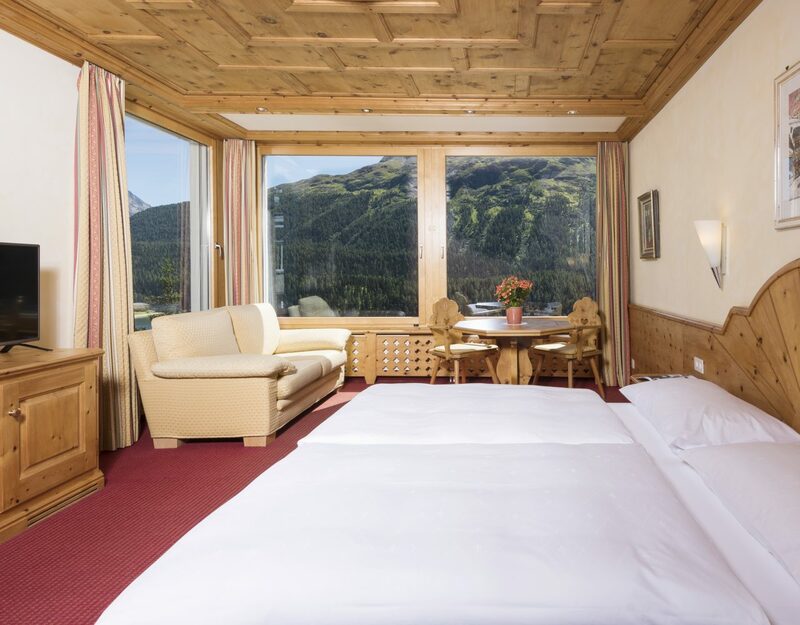 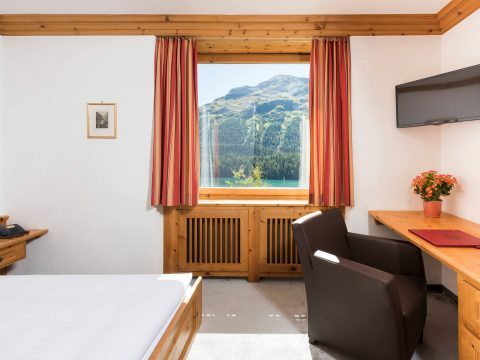 Most rooms have a wonderful panoramic view over Lake St. Moritz and the Engadine Mountains. 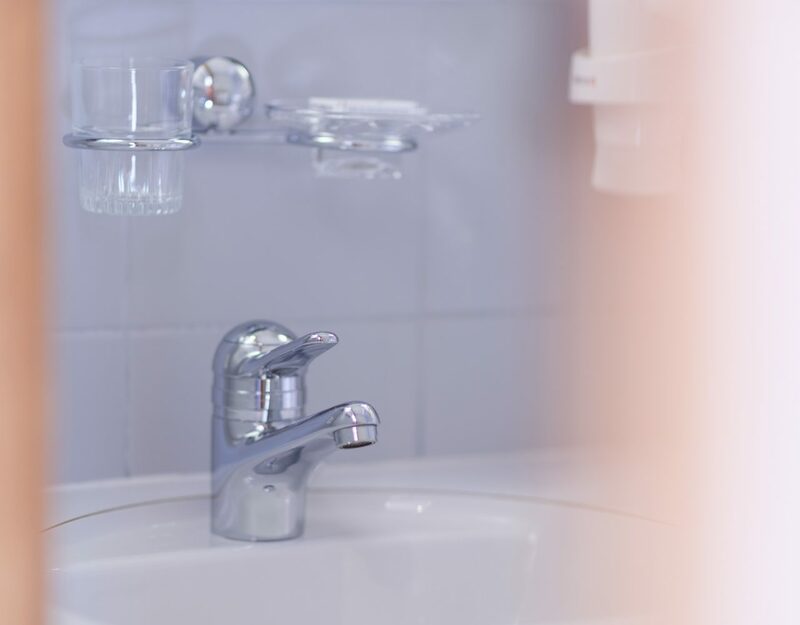 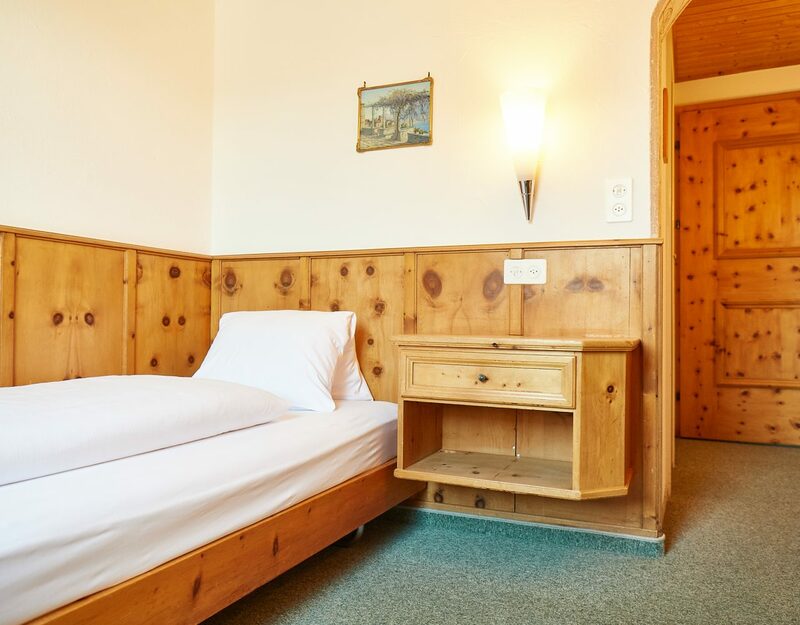 All rooms are equipped with bath or shower/WC, radio, TV, hairdryer, safe, information folder, phone with wake-up service and Internet. 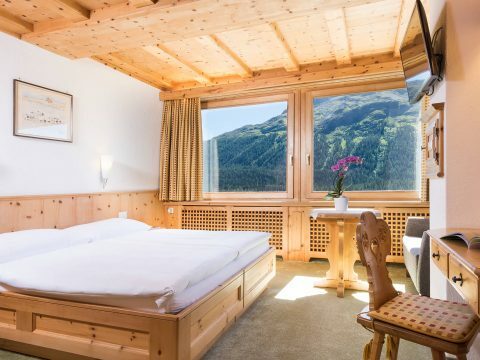 Small but perfectly formed, comfortably fitted with view of the mountains. 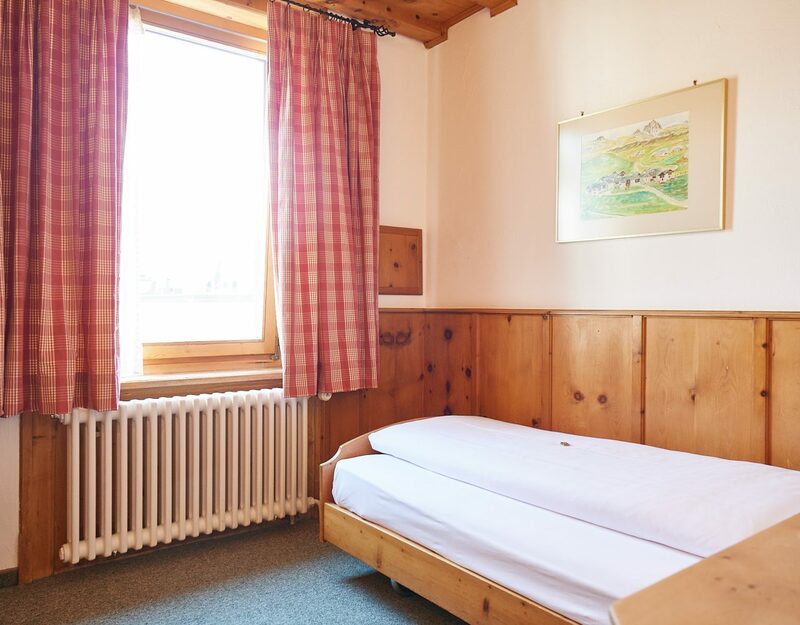 Bath/WC, bed size 90/200. 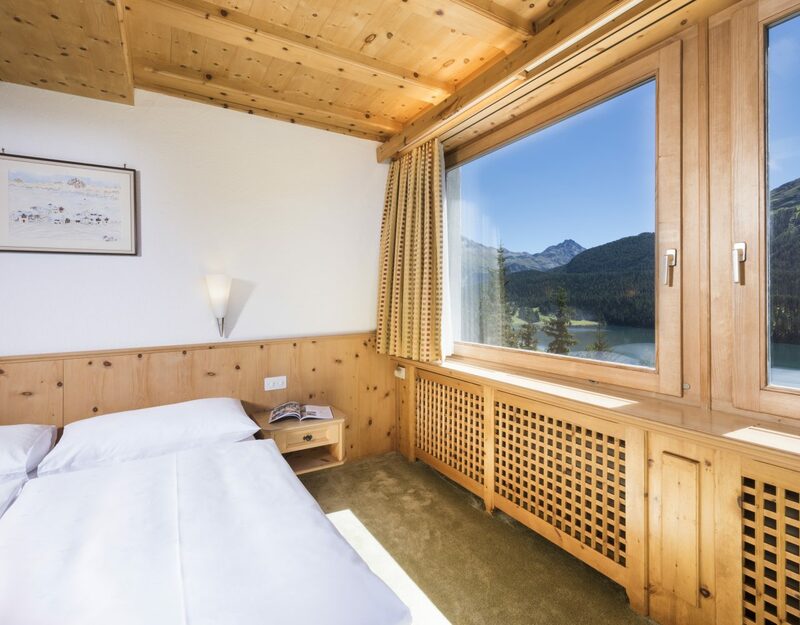 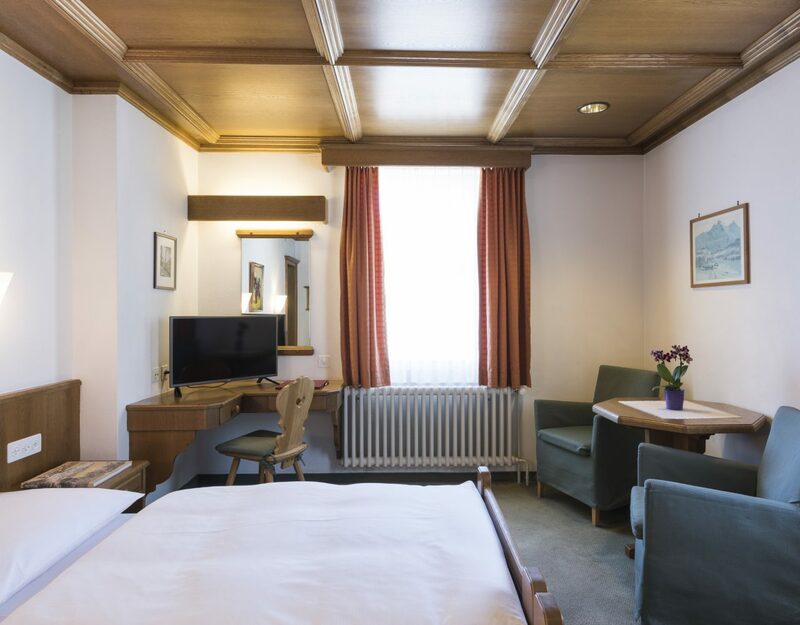 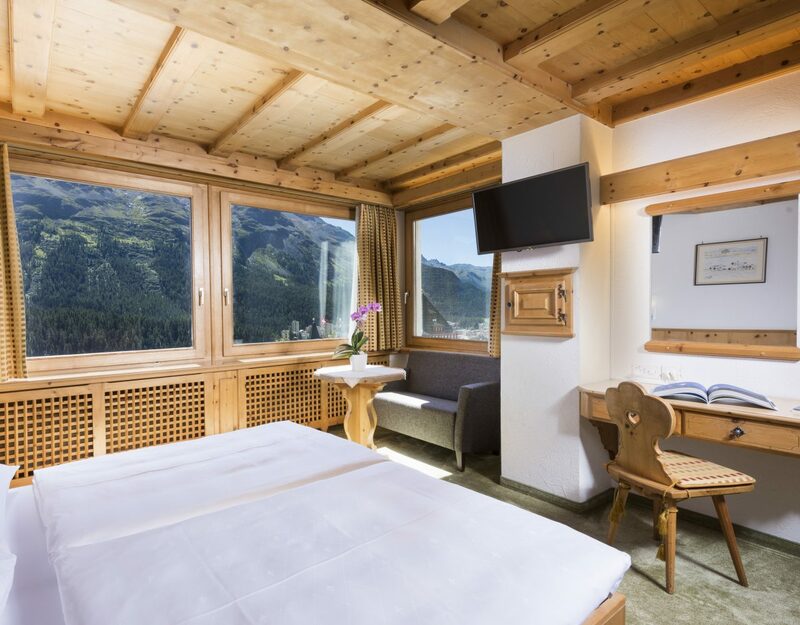 Cosy rooms fitted in Swiss pine, with wonderful view of Lake St. Moritz and the Engadine Mountains. 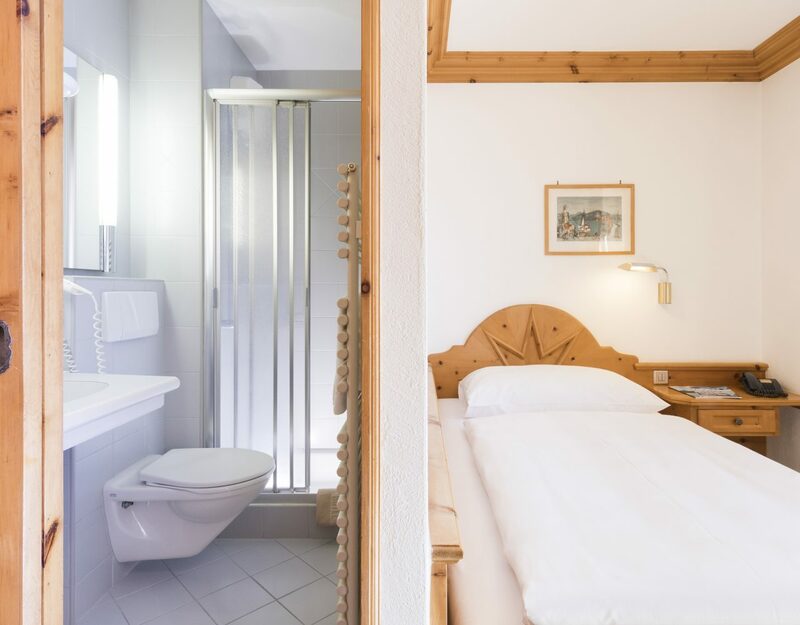 Shower/WC, bed size 120/200. 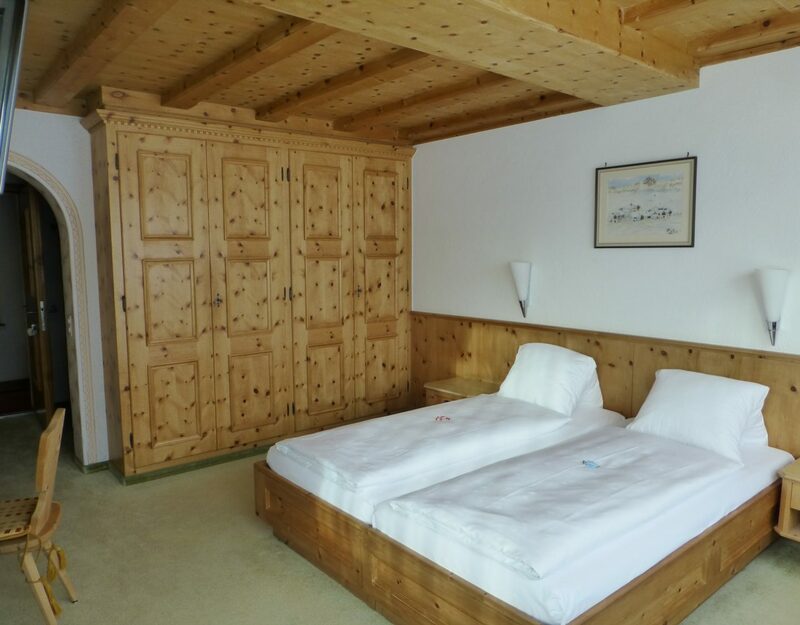 Comfortable double rooms fitted in light or dark wood with bath/WC, mountain view. 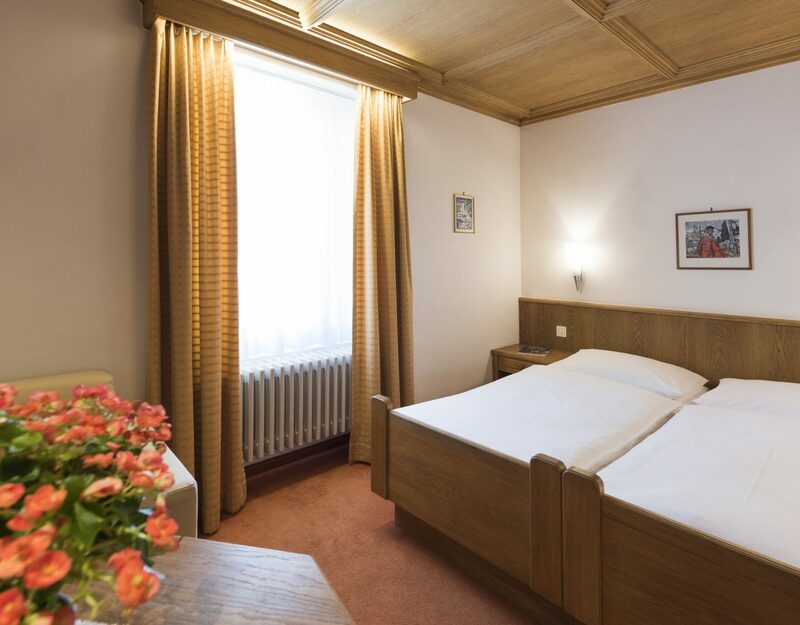 Additional bed request. 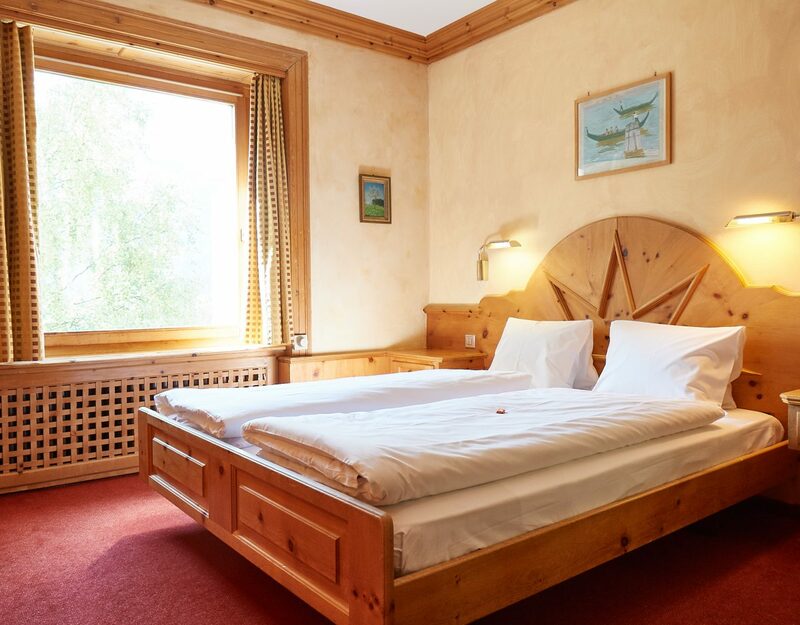 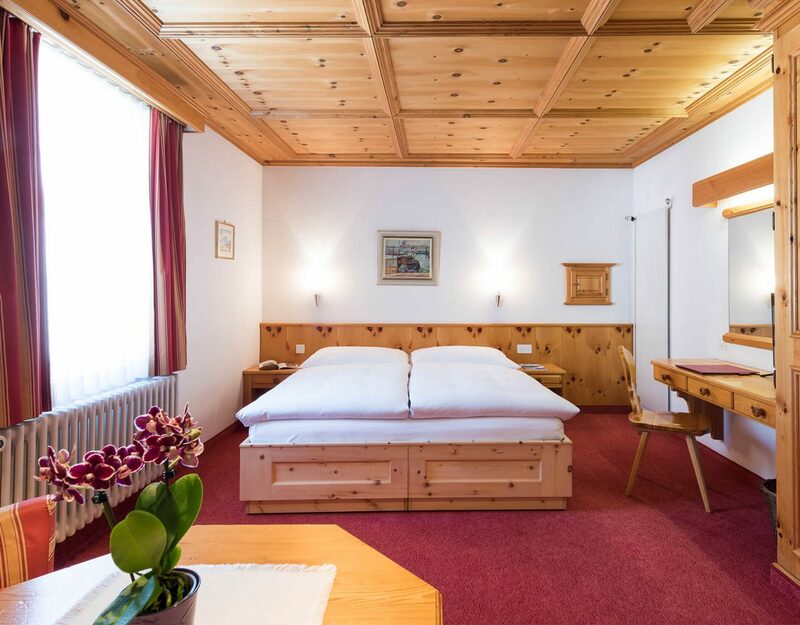 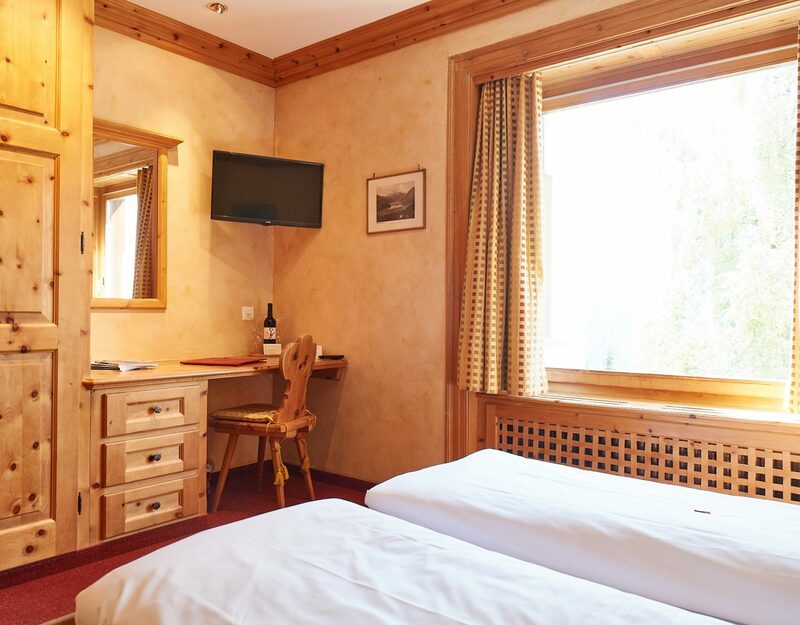 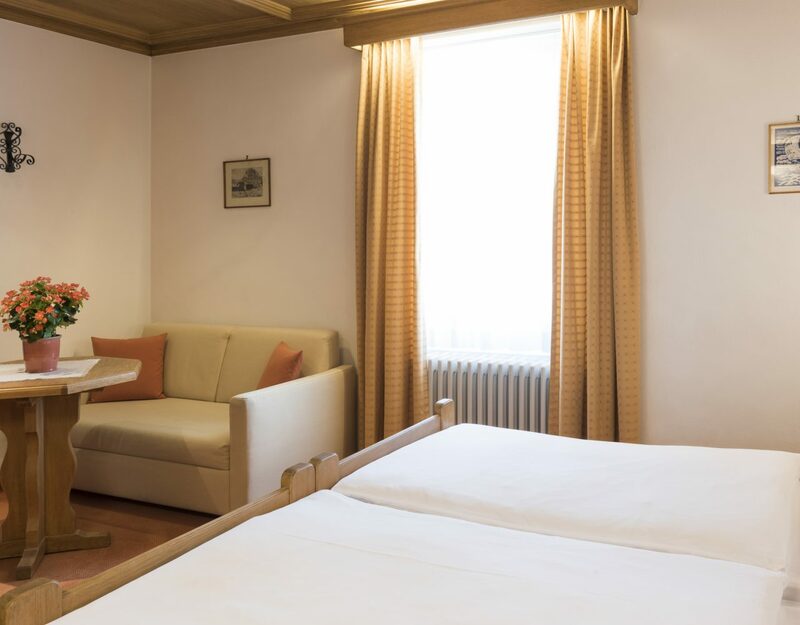 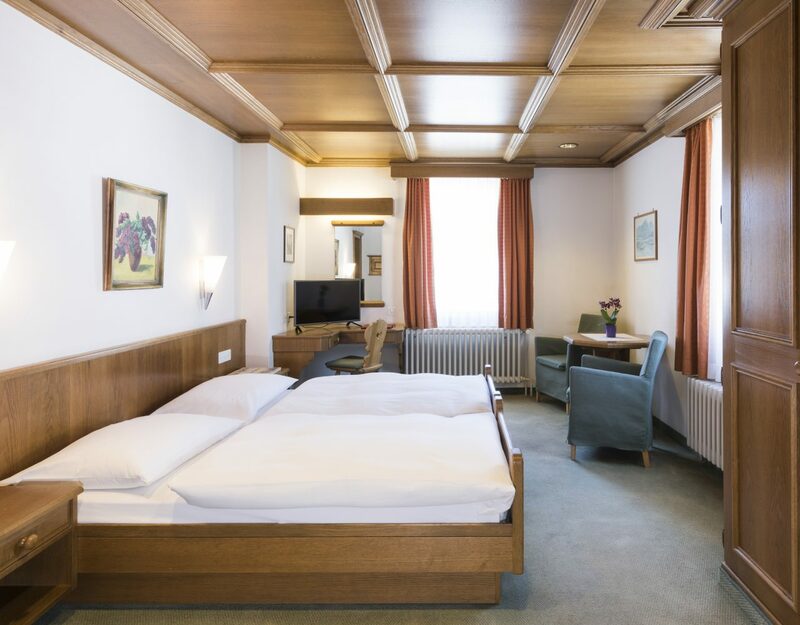 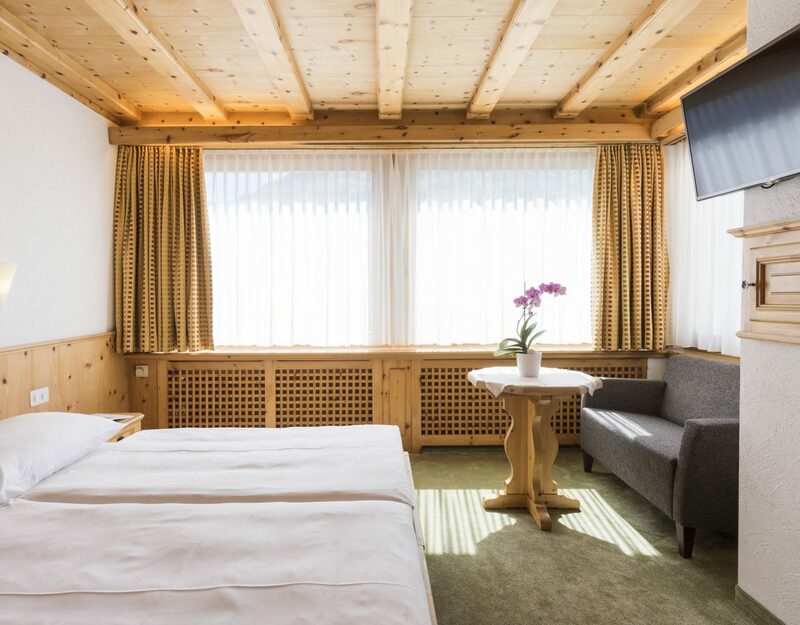 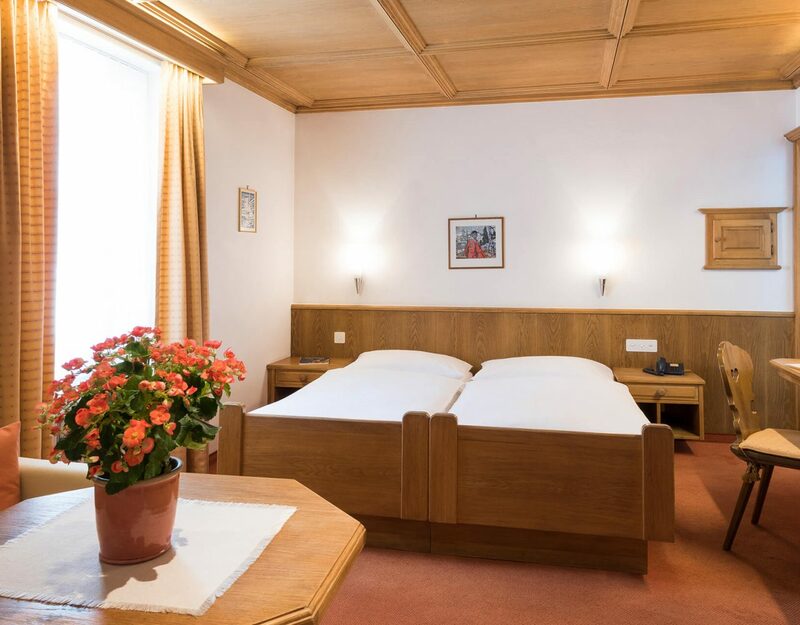 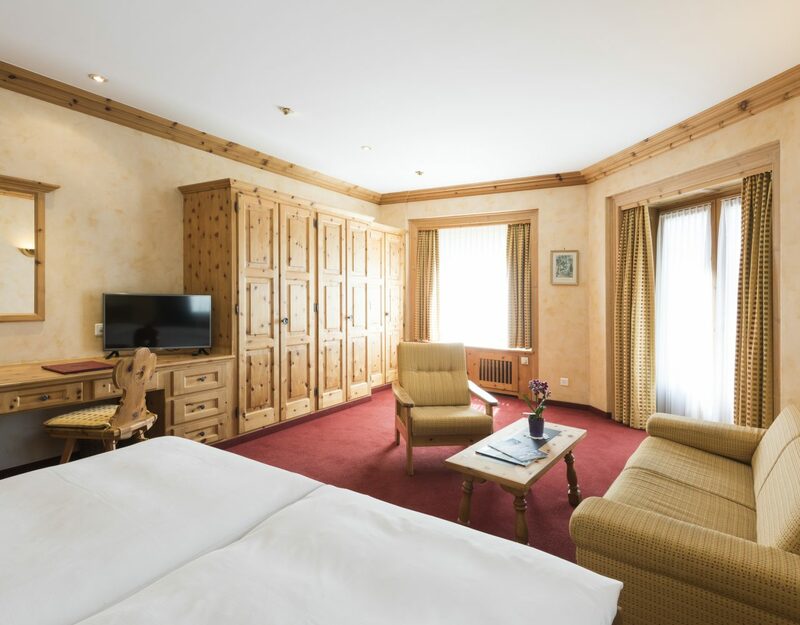 Cosy double room with queen-sized bed 160×200, fitted in Swiss pine, with shower/WC and wonderful view of Lake St. Moritz and the Engadine Mountains. 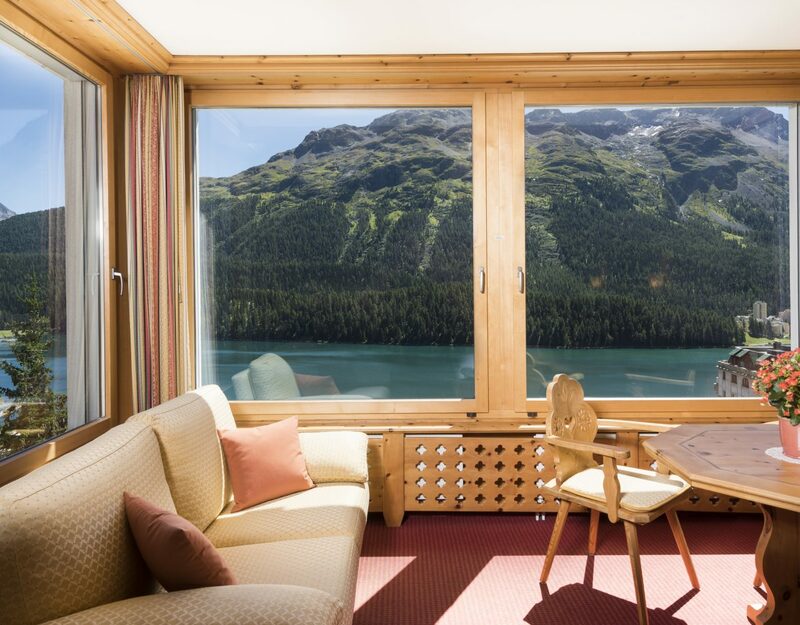 Light rooms fitted in Swiss pine, with wonderful panoramic view of Lake St. Moritz and the Engadine Mountains. 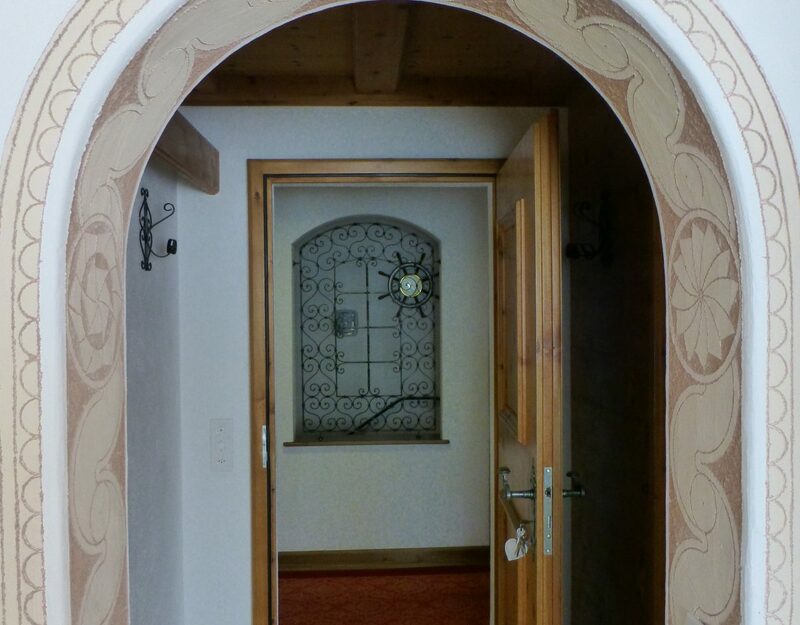 Pretty decorated entrance archway. 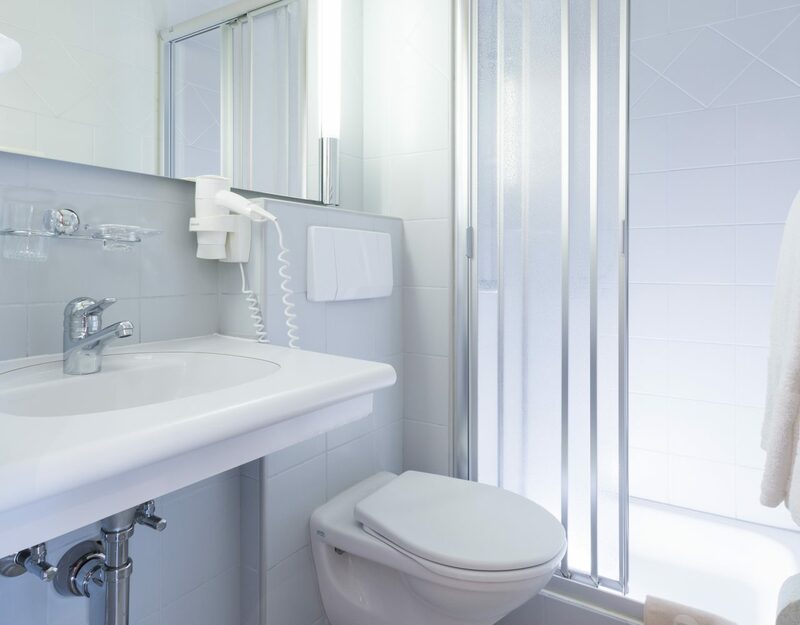 Bath/WC. 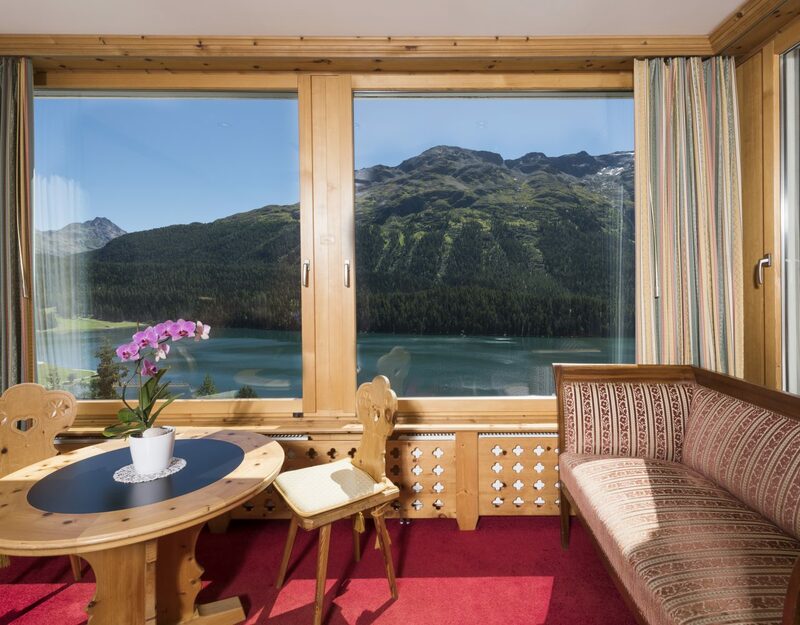 Generously-sized rooms fitted in different types of wood, cosy sitting area, wonderful panoramic view of the Engadine Mountains and Lake St. Moritz. 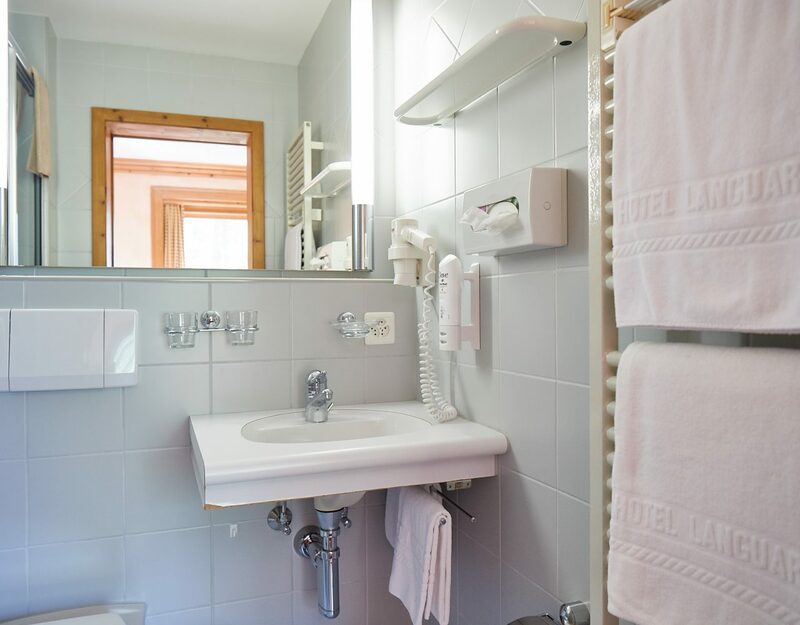 Bath or shower/WC, additional bed on request. 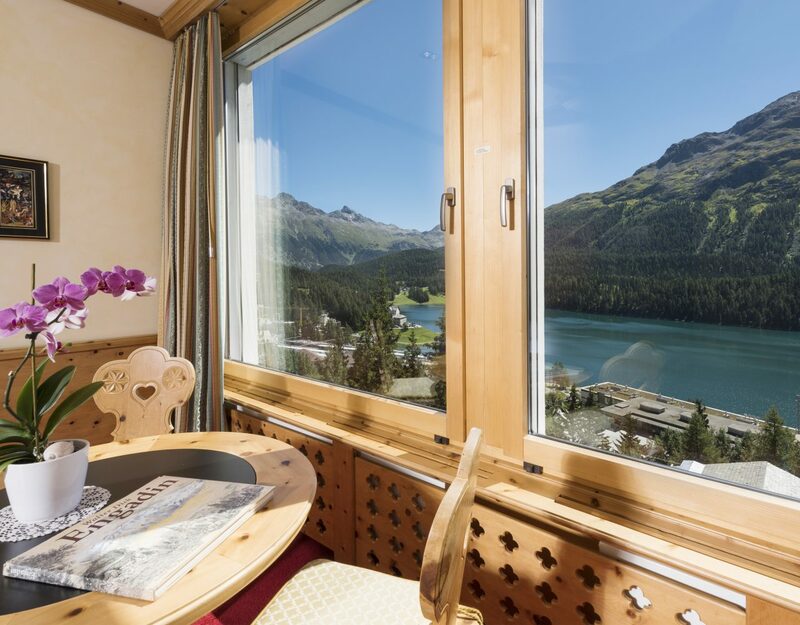 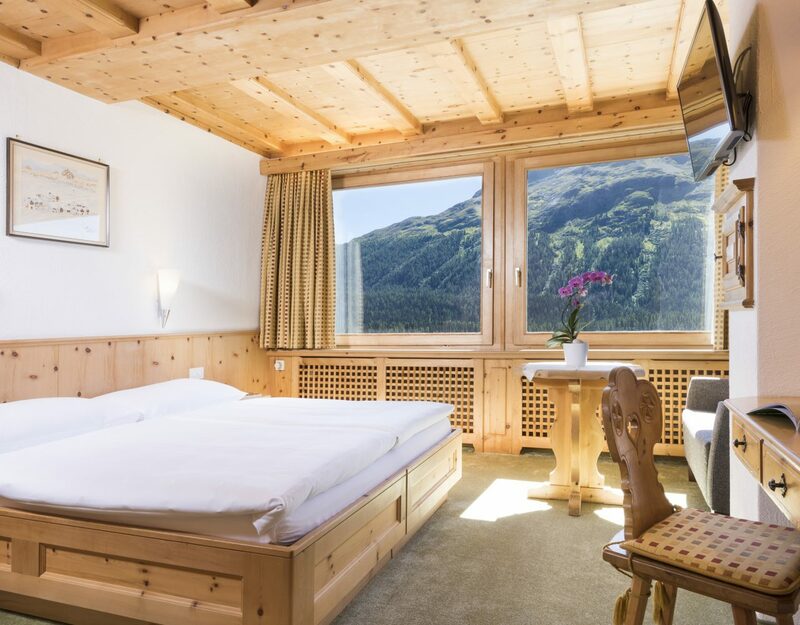 The junior suite fitted in Swiss pine, with cosy sitting area right by the front windows, offers you a fabulous view from the top floor to Lake St. Moritz and the Engadine mountain world. 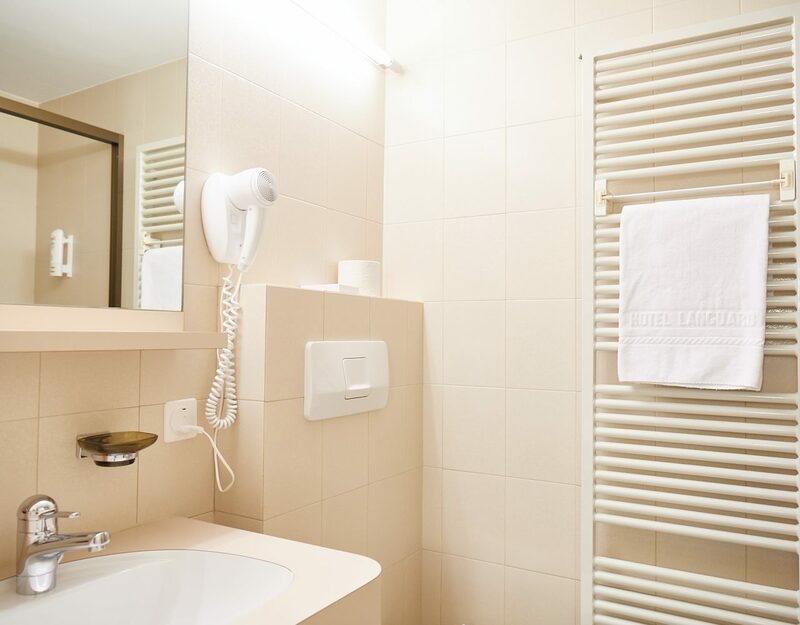 Elegant marble bathroom with large bath and sparate shower cabine. 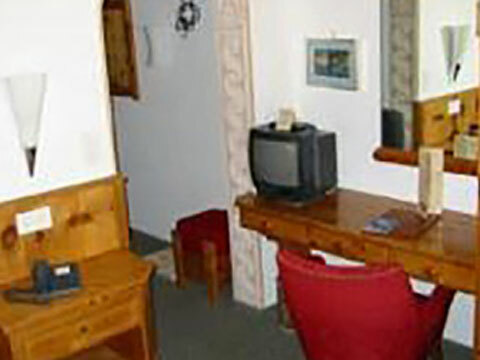 Minibar. 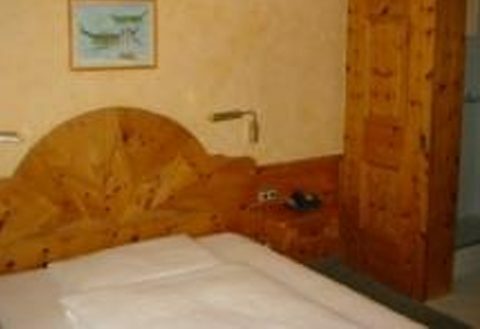 Additional bed on request.